Gone are the days wherein we have to wait for a long time just to acquire a simple block of text as a reply. The days of the telegram and even the beeper are long gone. Now, the best cell phone family plans exist so we can communicate with our loved ones and receive a reply within seconds. Do you need to call someone? Just dial in their number on the compact phone and it’s done. Do you need to send a message to your mom or dad? You can do so with your cell phone and they’ll receive it within seconds after hitting the send button. Still, it doesn’t mean that all cell phone plans are created equal. If you’re looking for the right cell phone family plan for the new year, then you’ve come to the right place. 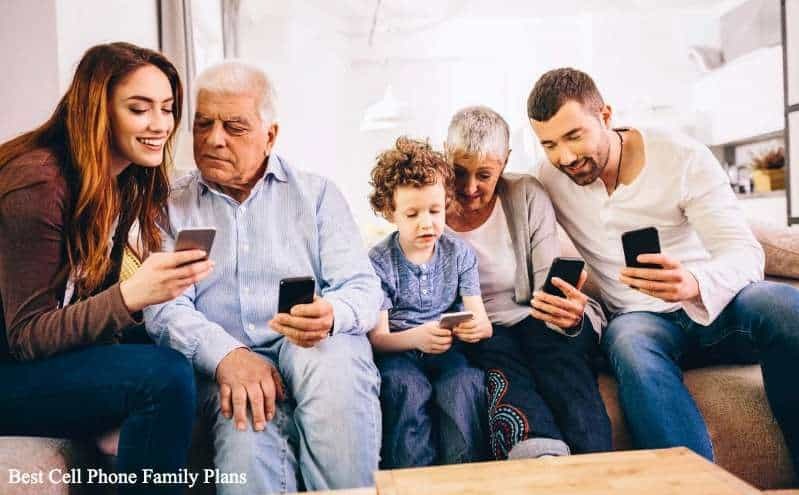 We’ve listed 10 of the best family plans from cellular service provides for 2019. All you have to do is continue reading. T-Mobile owns and operates MetroPCS, but the company runs on par with “big wigs” of the mobile service industry. Furthermore, they offer services at a fraction of the price. Pick any plan found on Metro’s list of services and you or any of your family members can get great value from their prepaid plans. You can even get an even greater “bang for your buck” deal with their multi-line discounts. Out of the company’s four offered plans, buy two to five lines at only $30 each. The cost stays the same whether you sign up for a 2GB data usage per month or unlimited data use accompanied by hotspot tethering. In other words, there’s only a difference of $30 on a monthly basis on either the service provider’s most and least expensive plans regardless of the number of phone lines you add. The lowest end of the scale is still an average offering compared to the plans offered by many major competitors in the cell service providing industry. However, Metro’s rates are easy on the wallet for causal, moderate, to heavy data users. Add four lines of unlimited data with hotspot tethering to a prepaid plan using Metro’s assistance will cost you far less than adding the same number of lines from its parent country. Not satisfied with their cheap offerings? Then do know the company also runs other promotional benefits for many of its prepaid subscribers. Since T-Mobile owns Metro and shares the network, expect to acquire fast speeds and relatively good coverage throughout the United States. You and your family can even expect better coverage and performance in urban areas. Still, you may want to check coverage maps before you switch to using Metro lines. Is there a caveat to using its services? Since it offers inexpensive cellular services, expect that the phone lines won’t blow anyone’s socks off. If you’re looking for plans that offer high-end devices, then you may not find it from MetroPCS. Still, if you’re already satisfied with your current handheld device, then you can bring it with you when you decide to switch to a Metro line. Keep in mind any device compatible with T-Mobile’s phone services will work with any Metro SIM card. Overall, even though Metro has a network coverage that isn’t quite ideal for rural areas and has only four plan options, it does offer itself to be a cheaper option for families on a budget. It provides excellent multi-line discounts, higher than average data caps, and has a great performance in urban areas. Many families in the United States aren’t big fans of using large amounts of data because we already have Wi-Fi in our homes and offices. If you’re looking for a great cell phone family plan for talking and texting, then it’s a good idea to check out what Cricket Wireless has on offer. Owned by AT&T, Cricket uses its large network to give great coverage and reliability to its customers. In most cases, the company’s plans don’t give the same type of deal for the money as compared to the majority of the services found on this list. Many prepaid carriers around the country offer limited data plans. There are also data-less and unlimited data plans on offer from other competing companies that can help families save a few bucks per month. So, what makes Cricket Wireless stand out from the rest? It does offer inexpensive talk and text plans. 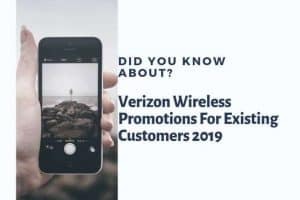 Hence, if you or any of your family members aren’t big fans of using their phone for browsing the Internet and social media portals while on-the-go, then the company’s talk and text subscription plans are the way to go. Cricket even offers its customers the chance to mix and match features placed on the same account for maximum flexibility and versatility. Furthermore, the cellular service provider even has autopay and additional line discounts to help their customers save more cash as much as possible. The company does put speed caps on all data usage but that isn’t the main concern for some individuals and their families. You’ll get a speed cap of 8 Mbps regardless of the plan you choose from Cricket Wireless. Still, for most casual users, that’s more than enough to browse Google, Facebook, Twitter, or Instagram while on the go. Each family member in your household may require a distinct set of needs regarding their cellular service preferences. With that in mind, it can become a good idea to check out the offerings provided by US Mobile. The Mobile Virtual Network Operator (MVNO) known as US Mobile is a prepaid phone carrier in the United States. All of its plans let customers completely customize and personalize almost everything located in the plan. For instance, users can choose their preferred networks, bring their phones, or even create a custom plan from scratch based on the features you use the most. Savvy and power mobile users can save cash with the services offered by this cellular service provider as it only lets you pay for the number of minutes, data, or text you need. Furthermore, since all of its plans are customizable, customers can enjoy optimum flexibility by allowing you to top up in the middle of the month. You can even change the settings of your plan at any time. Check out US Mobile’s selections and you’ll see two network options, them being the GSM LTE brought by T-Mobile and the Super LTE plan from Verizon. There are only small differences in prices between these two options, especially for data allocations. Interested customers looking for unlimited data usage can still find it from the company but at higher price ranges. Furthermore, if you’re looking to keep using your current mobile device, then you can only choose one of the two selections. Keep in mind both Verizon and T-Mobile use different cellular technologies to deliver services to their customers. If you have a phone coming from Verizon or Sprint, you can only go with the Super LTE plan. Otherwise, if you have a device from AT&T or T-Mobile, then you can only choose the GSM network plan. Not all family members want to take advantage of mobile data when they’re out and about. There are some people who just like to go about their day without having to pick up their cell phones from their pockets. However, there are those crucial moments wherein you or any of your family members have to use the Internet for whatever reason. What can you do if you’re the only person who has data? Then you may want to take advantage of Boost Mobile’s services. The company has excellent rates regarding mobile hotspot tethering. It also offers two tiers of unlimited data plans. There’s a $60 Unlimited Plus plan that allows customers to take advantage of unlimited HD streaming with 20GB of 4G LTE hotspot data. If you look at many other similar offerings on the market, you’ll find that the price for using unlimited data usage with Boost is highly competitive than just about any other cellular service provider in the nation. However, not everyone in the United States can make full advantage of the services brought by Boost Mobile. Check with a coverage map first because the company’s performance heavily relies on areas with a solid Sprint service. 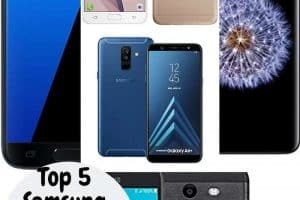 If your location doesn’t have good coverage from Sprint, then perhaps the best option is to choose from the other cell phone family plans found on this list. Boost does have limited plan options but all of its offerings have unlimited data, talk, and text. Still, cellular service speeds will slow down to 2G once you reach your cap for the month. Despite not cutting the line even after exceeding data, talk, and text usage, 2G speeds are very limiting. The company does, however, have great unlimited plans with hotspot data tethering. For instance, it brings 40GB of hotspot data for its customers. Called the Ultimate Unlimited data plan, the price is a bit hefty at $80. Still, if you consider you’re going to use and share a large amount of data with family members, then you might not mind the weight found in its price tag. Out of the four major cellular service networks found in the US, AT&T Prepaid offers good value as compared to other similarly priced offerings. It’s even found at a better value than the company’s postpaid plans which makes it a better choice for customers who are loyal to the firm without having to spend a large chunk of their monthly allowance in the process. There are even carryover data and autopay discounts on offer along with their prepaid plans. Keep in mind, however, that AT&T Prepaid does charge more for their plans as compared to most MVNOs out there. However, it does offer better security in subscribing to service than most cellular service providers. Furthermore, the company operates one of the largest networks in the nation. Customers can take advantage of an unlimited plan option but it may not be a great choice for every family in the country. There are similarly-priced options out there, but AT&T Prepaid entices new and existing customers with a stellar limited plan. Users can take advantage of autopay and paperless billing discounts all found at $40. Furthermore, the prepaid subscription plan even comes with unlimited talk and text along with 8GB of data. All unused data will even be carried over to the next billing cycle. Interested customers may even add more data usage at $10 per 1GB. For some family members, speed is everything including cellular services. With that in mind, it might be important for you or some of your household members to have fast data speeds. Verizon Wireless offers highly competitive cellular service speeds than other options on this list. It’s even touted to be faster than many other firms in the mobile service industry. Verizon has one of the best nationwide coverage you can find in just about any cellular service provider in the country. However, its plans are a bit pricey as compared to other subscription plans on the market. Your family can start off with the $160 offer but it already comes with 4 lines. There are also $200 and $240 choices but these subscription plans are found at higher tiers. You can also choose to take advantage of just one line but it will cost you $75 for it. Four lines will only amount to $40 per line per month. Verizon Wireless offers two sets of rate plans. However, since the prices for their subscription plans are higher than others, it makes itself to be less of a budget-friendly option. Still, customers can take advantage of the “Go Unlimited” feature but there will be a cap when streaming video. After reaching the maximum data limit, the streaming resolution will fall back to 480p and data usage speeds will cut back to mobile hotspot rates. Interested customers can also take advantage of the “Beyond Unlimited” offering which adds an add-on of 720p streaming on top of the plan. There’s also an option to utilize 1080p video streaming on tablets accompanied by 15GB of mobile hotspot usage every month. The company is known for being the first to offer nationwide LTE coverage. Since it started to build its nationwide coverage at an early age, customers are grated with solid 4G LTE experiences throughout the majority of the country. Sometimes you don’t need an entire family plan to add one more cellular phone line to the household. You may just want to add just one line to the mix. If so, then Sprint may be your best bet in this regard. Sprint offers a pricing structure for the plans that beat many competitors regarding individual subscriptions. Customers can take advantage of HD video streaming and unlimited access to Hulu at $60 per month. Out of the box, you will have to deal with some limitations and restrictions regarding mobile data usage. There’s a limited game streaming capped at 8 Mbps. Audio and music streaming is also limited at only 1.5 Mbps. While these speeds are hardly competitive, it’s a great option for most casual users. Handle these restrictions and the Sprint mobile plan is definitely one that’s hard to beat in the nationwide cellular service sector. There’s some good news involved with this plan. You will get unlimited calling, texting, and data usage in Canada, Mexico, and the United States. Travelers who take advantage of Sprint’s services may also want to add unlimited 2G data usage with their plan. You can also take advantage of international calls that only cost $0.20 per minute. Aside from international travel, each Sprint customer in the US will also receive 10GB of LTE hotspot tethering use. Some mobile users cringe at the sight of the word “limited.” Power users don’t like the fact that their data speeds slow or halt entirely after reaching a certain amount of data use. If you’re looking for unlimited options, then seek out Project Fi. Project Fi is akin to the “new kid on the block.” The company is relatively new in the cellular service industry and it does have a lot of catching up to do especially when you look at the likes of AT&T and Verizon. Perhaps the main advantage of interested customers who want to opt for Project Fi’s service is you’re going to take advantage of the offerings provided by one of the largest tech companies in the world – Google. Choose to go with Google’s Project Fi and you’ll take advantage of a number of great benefits. First, you can get unlimited calls and texts at only $20 per month. Furthermore, you can add unlimited data use at $10 per GB of use. You can even add extra people to your unlimited data plan for $15 per person. Customers will only be charged $10 per GB used up until 6 GB. Continue to use your mobile data after than that and it’s unlimited. The company’s services is a great compromise if you’re a power user, especially for business people or app-happy teens. Now, let’s look at the other end of the spectrum. While there are definite power users in the world of smartphone use, there are some people who only take out their phones from their pockets when they need to use it. These are the people who will only check their social media accounts once in a while, along with calling or texting people when required. If you’re that type of smartphone user, then you might want to take advantage of Republic Wireless. For most customers in the cellular service sector, the name of the company may not ring any bells. However, look at the company’s rates and they’ll certainly pique any interests you might have. Its plans start off at $15 for the unlimited call and text option and you can add a 4G LTE data subscription for an additional $5 per GB of use. If you only use less than 1 GB of data per month, then Republic allows you to waive the charges so you’ll only pay for the $15 for the unlimited call and text. You and your family can even get great coverage since the company piggybacks off of Sprint and T-Mobile’s networks. Let’s not forget about the kids. Tracfone is great for the little ones in our families. The company offers kid-friendly mobile experiences that you can add to existing plans. Its plans offer a no-frills way of keeping your children in check. Tracfone’s plans start off at $15 for 30 days. Albeit it doesn’t have unlimited offerings, your kids can use up to 200 minutes, 500 MB of data, and 500 texts per month. Parents who wish to choose an even lighter plan than the $15 offer may even choose to take advantage of the $9.99 per month subscription. However, the cheaper offering allows for only 30 minutes of talk time and only on a basic phone. Parents may even want to pay for an entire year of service to do away with monthly billing processes. The annual bills will go as high as $125 per year which allows for 1,500 texts, 1,500 minutes, and 1.5 GB of data. 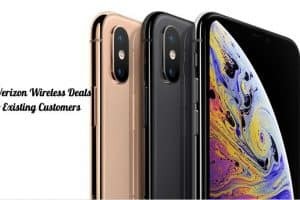 Aside from looking at the best cell phone family plans found on this page, you should also check out individual websites for promotions and sudden offerings. Use promotional service rates to your advantage to acquire “bang for your buck” deals for you and other household members.